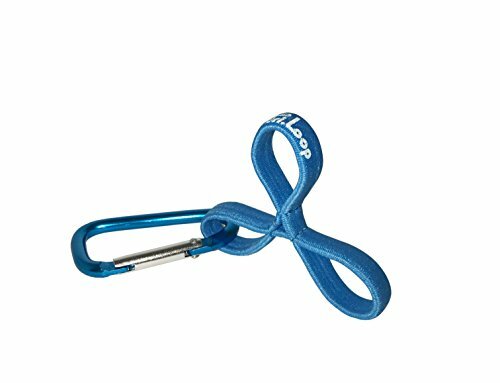 THE TRI-LOOP IS THE MOST INNOVATIVE PENCIL, TOOL, AND GRIP DEVICE IN THE WORLD. Why should you use Tri-Loop? How do you use Tri-Loop? Insert a pen, spoon, or use it while empty to help with a stronger, more efficient grip. Note: Each size comes in a different color. PROMOTES STRONGER GRIP - The Tri-Loop supports and develops tripod, palmer, thumb-index, and precision grips. Places fingers into a stronger, more useful grip. HELPS WITH BETTER FUNCTION AND PERFORMANCE -The Tri-Loop improves your writing and drawing whether it be for school, play, work, or leisure. BETTER THAN THE UNIVERSAL CUFF - The universal cuff is widely used, but an extremely outdated device. The Tri-Loop provides a more natural and refined grip for better results. VARIOUS USES - Use the Tri-Loop while writing, drawing, eating, using tools, picking things up, etc. PATENT PROTECTED - Buy from us and get the real thing, not a cheap knockoff. If you have any questions about this product by Tri-Loop, contact us by completing and submitting the form below. If you are looking for a specif part number, please include it with your message.